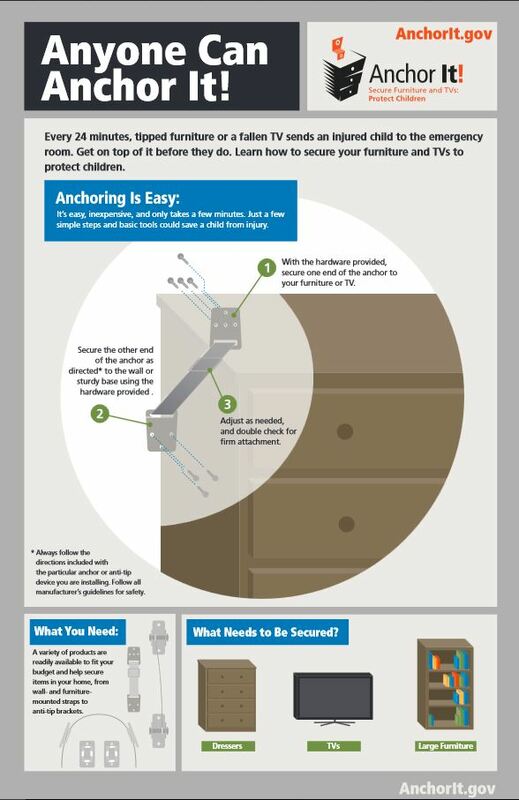 Every year an average of more than 33,000 people are injured by falling furniture or televisions. From 2000 to 2015, more than 400 children were killed after being crushed. There are easy and inexpensive ways to prevent these tragedies from happening. Check out this week’s Jamie of All Trades for more information and you can also visit the Consumer Product Safety Commision’s page for Tip-Over Safety www.anchorit.gov.